The area of Colli Euganei and Friuli are inextricably related. Some documents show that both Prosecco and Pinella vines were grown in Friuli in the early 14th century. Facts prove that the same species were grown in the area of Colli Euganei a very long time ago (between 600 and 500 BC). Down the ages Pinella wine has always been highly estimated. However today there are only 10 hectares in the whole world where this species is grown. And this vineyard is in the area of Colli Euganei. Despite its historic and biological significance, only a light, crisp, sparkling wine is produced from this vine. The La Costa wine farm decided to follow the local tradition. We are glad to introduce this wine, which is a symbol of this vineyard and of the whole area of Colli Euganei. 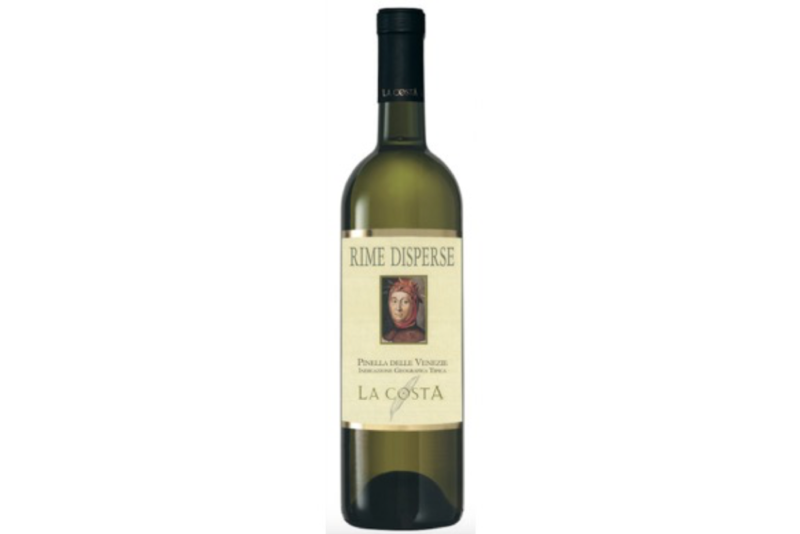 This peculiar wine takes us back to the past as it is described in Petrarch’s work “Rime disperse”(“Lost rhymes”), where the poet speaks about all the women he loves. This wine is indeed lovely as delicate scents of the past blend with fruity and spicy notes. It has a long full taste. Ripe grapes are manually harvested. Grapes chill reaching a temperature of 7-8° C in the winery and are then softly pressed by means of a pneumatic press. The must is kept in a steel vessel for 12 hours to become clear at a monitored temperature. After decanting, the wine is filtered, shortly kept in a vessel and then immediately bottled. Nose: fine, rare scents recalling the ones of ripe fruit (golden apples), tobacco and siege. Mouth: round, full and big, it is a fine long wine. It is excellent with grilled fish, white meat and saucy roast veal.